Lessons From the Warning Birds – He Said What?! I finally had a free morning………..one in which I did not need to take Aaron to his day group, nor did I have errands to run or any commitments to meet. I had a long outside to-do list and was eager to get started before the heat made being outside unbearable. One of the first jobs I decided to tackle was an easy one. The forsythia bush beside the garden was overgrown again, despite being pruned just a few weeks ago. I grabbed the small pruning shears and my garden gloves, and then rolled the trash can out to the bush in need of a trim. I had only made two or three little snips with my shears before I was very surprised by a dive-bombing bird. This bird nearly clipped the top of my head! He – or she – then immediately turned around and flew over me again as I instinctively ducked down out of the way. The unhappy bird landed on one of the wooden beams that surrounds our garden and proceeded to squawk very loudly at me. 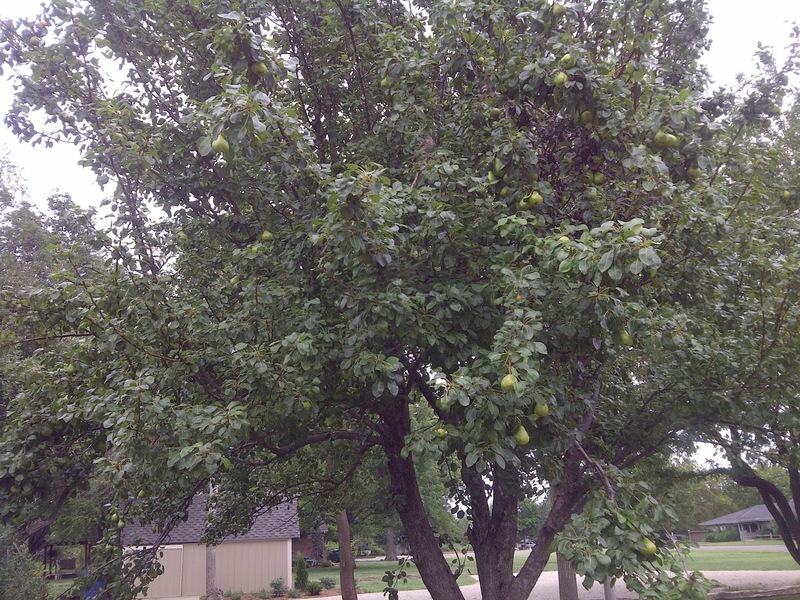 A second bird flew into our nearby pear tree and also berated me sharply for obviously infringing on their territory. I knew that there was a reason for their irate behavior. I figured it must involve a nest and possibly some baby birds that were already born, or eggs waiting to hatch. 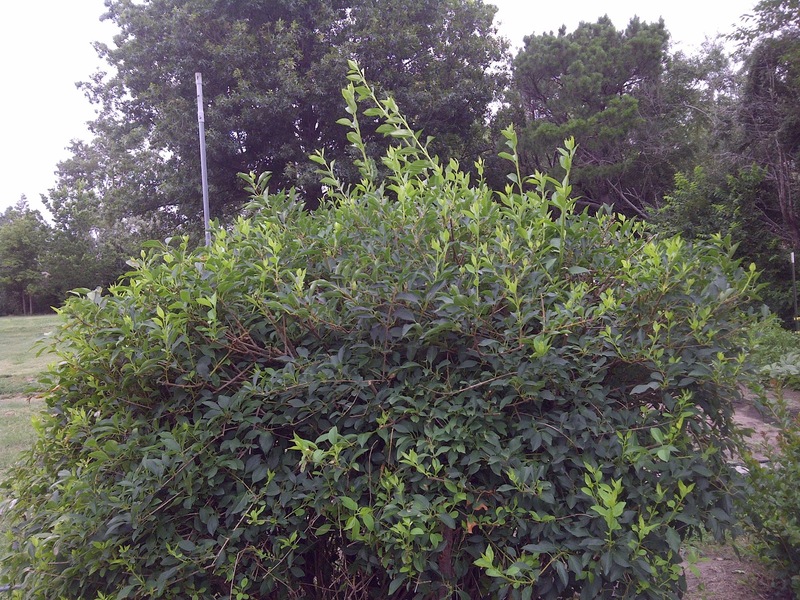 I really wanted to finish trimming this bush since I had the time and since I had started on it. I carefully reached up to trim some of the upper growth when I heard a very unusual sound, one that startled me and made me move back away from the bush. It sounded almost like a growl, but with bird undertones, and was coming from inside the bush. Peering very carefully between the branches, I saw the little nest……..compact and nearly hidden among the tangled growth inside the bush. 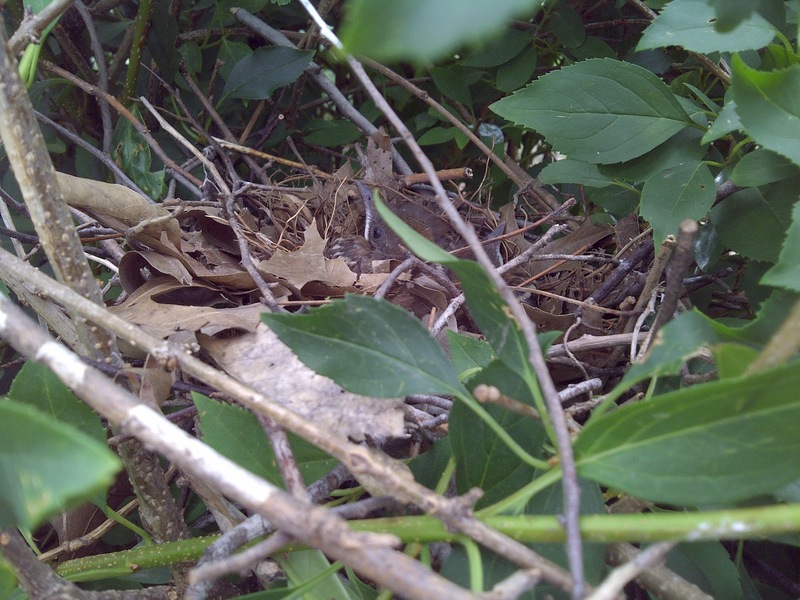 In the nest, sure enough, were at least two little baby birds with eyes open and hearts probably pounding in fear. I don’t know if Mama Bird had made the unique sound I heard or maybe one of the babies, but something was warning me to go away. And I did. I decided that I could finish trimming the bush at a time that was safer for these baby birds – and for me! The uneven growth would just have to stay awhile longer. As I moved to the vegetable garden to continue my chores, the adult birds lingered nearby to watch me and to be assured that I no longer disturbed their precious babies. This whole episode reminded me of the warnings in our lives that occur at various times and stages. As God’s children, we are indwelt by the Holy Spirit upon our salvation. One of the ministries of the Spirit in our lives is to warn us and to redirect our steps, just as the Spirit redirected the steps of Paul in Acts 16 when he forbade him to go to Bithynia. Sometimes we are headed in a direction that may be good and seem right, but God has other plans for us. That voice in our heart that makes us uneasy or that definite closed door is often the Spirit warning us and changing our path to the better one that God has for us. We may not understand the change and often we don’t like it, but knowing that God sees our entire future and leads us in love is such a comfort. Paul could look back and see that’s God’s warning and His will was best, and maybe someday we will be able to do the same with our lives. God’s Word also has warnings for us to listen to and to obey. David talked about the perfection of God’s Word in Psalm 19. He described God’s laws and commandments to us as being sure, right, pure, true, and sweet – to name a few. Then in verse 11, David said, “Moreover, by them your servant is warned……..” Warned? Most definitely! God’s Word lifts us up into truth and is sweet and so pure and very encouraging………….but His Word is also full of warnings for mankind. As God’s children, we need to heed the warnings we read in His Word – all sorts of warnings that call out to us just as much as those angry birds called out to me in my yard. There is absolute truth, and absolute right and wrong found in the pages of our Bibles. We need to read it with obedient hearts and listen to God’s warnings contained therein. One more avenue of warning can be found in the godly friends or family members that we have in our lives. In his challenge to the Corinthian believers in I Corinthians 4, Paul finally says to them in verse 14: “I do not write these things to shame you, but to admonish (or warn) you as my beloved children.” Sometimes there are faithful people in our lives who see us making bad decisions, or headed into a dangerous relationship, or harboring bitterness, or any number of other situations. I’ve been personally blessed with wise counsel from family and friends at various times in my life. Some of that counsel may take the form of warnings………..warnings that we need to heed when given by one that we know to be following the Lord and whom we can trust to advise us with sound wisdom. Warnings from those who have lived life longer than we have and who have seen the result of sinful ways. Warnings from those who love us and love God and want us to have His best. May each of us be open during those times when the Spirit, or God’s Word, or loving people in our lives are trying to get our attention……….are attempting to redirect our thoughts or our activities or our desires away from ones that can be damaging to us. Even when it means leaving the path that we were on…………..leaving a job undone………..ending a relationship……………throwing off a worry or a heavy load of hurt……………whatever the situation, may the trusted warnings that we receive be well received. God has a reason for the warnings tucked away in His plan for us…………reasons even more precious than little baby birds. Next Next post: Give Me More!